This is a hip replacement surgical malpractice lawsuit filed by a man, pro se (without an attorney), in Baltimore City against Bon Secours Hospital and an orthopedic surgeon. This lawsuit was filed in Health Claims Arbitration on April 6, 2017, and it is the 163rd malpractice case filed in Maryland in 2017. Plaintiff clearly claims a poor outcome after hip surgery. Exactly how Bon Secours and the surgeon contributed to this outcome is unclear in the complaint. Plaintiff has a left hip replacement surgery done due to severe degenerative arthritis by defendant doctor at Bon Secours Hospital. He has the condition in both his left and right hip, but the left hip is picked to have operated on first as the pain was worse than the right. After the procedure, he is left with a one-inch leg length differential in his left hip and needs a special orthopedic shoe. He also has a misalignment that prevents his ability to walk and sit properly. He also alleges a protruding screw that was never attached to the bone. Since the left hip surgery was done incorrectly, he is unable to proceed with the right hip surgery as scheduled. He suffers pain in both of his hips and sees a pain specialist. He files this claim pro se alleging that due to the procedure being performed incorrectly he is left with pain and significant limits on his daily activities. Lawyers who dabble in or do not handle medical malpractice cases struggle through these cases. 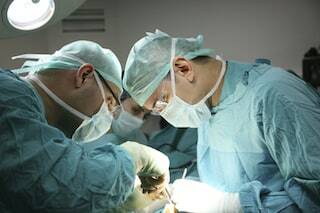 Year in and year out it is the best medical malpractice lawyers in Maryland that are getting the best results. They say a little bit of knowledge is dangerous. This plaintiff is not completely ignorant of the malpractice laws in Maryland that he must follow to bring a successful claim. In his lawsuit/letter to Maryland Health Claim Arbitration, he requested an extension to file a Certificate of Merit. But what he did not do is allege a viable cause of action. He does not allege the doctor breached the standard of care. Besides the poor outcome of his hip replacement, he only alleges the doctor "misled me about my recovery" and "failed to provide an accurate honest account of my condition." This is not the grounds for a viable malpractice case. The take home message is that you almost invariably need an experienced malpractice attorney to handle a malpractice claim. If you have been injured due to the negligence of a doctor, Miller & Zois can help you. Get a free online case review or call us today at 800-553-8082. We can help you get the justice and compensation that you deserve.